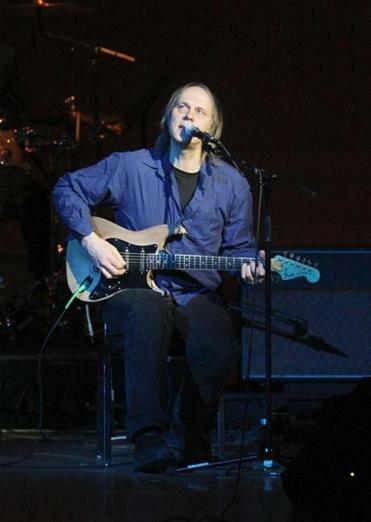 Television frontman Tom Verlaine, pictured in 2008. Tom Verlaine wants to see you sitting down. When his classic punk-era band, Television, returns to Boston to play the Wilbur Theatre Sunday, he’d prefer that the audience take a seat. That hardly means there’s a lack of power in the band’s singular style, led by a probing, braided, sometimes un-punkishly prolonged interplay between two guitars. The band, which has played sporadically since reuniting for a second time in the early 2000s, will showcase songs from its timeless 1977 debut, “Marquee Moon,” at the Wilbur. Verlaine, whose ingrained reticence leads to plenty of “uhh”s and “mmm”s in a rare conversation, has been frowning on rock ’n’ roll recklessness since he formed the band in 1973, a year before Television helped establish the legendary New York punk club CBGB. In the early years, he squabbled with original band members Richard Hell and Richard Lloyd over their tendency to jump around onstage. Hell, who went on to be a key figure on the New York punk scene, was nudged out of the band before the first album came out. Lloyd was involved in the 1992 reunion that led to Television’s third album, but left for good in 2007. The band’s “new” guitarist, Jimmy Rip, took Lloyd’s place. In fact, he’s been working with Verlaine for three decades, playing on many of the guitarist’s solo recordings. The current lineup also features original drummer Billy Ficca and longtime bassist Fred Smith. Rip, who has played with Mick Jagger, Jerry Lee Lewis, and many more, lives in Argentina, where he’s been producing bands for years. If he were around more, Verlaine says, Television might be a little more focused on finishing a long-rumored fourth album. Verlaine says he’s been in talks to reissue his extensive solo catalog, possibly as vinyl releases with the Fat Possum label. Every 10 years or so, he says, he notices a new wave of younger people picking up on his music for the first time. Of all the great bands that made CBGB — Blondie, Talking Heads, the Ramones — the only person Verlaine sees much of these days is Patti Smith, his onetime girlfriend. But that’s not unusual, he says. But Verlaine doesn’t quite think in those terms. “It’s not real cerebral, really,” he says of his band’s music. “Most of the songs still have six chords, tops. Television’s thrumming, off-kilter first single, the seven-minute “Little Johnny Jewel (Parts 1 & 2),” was released 40 years ago across both sides of a 7-inch single, just like an extended James Brown vamp. And although the band could hardly be described as funky, in its own way Television has maintained its commitment to structure and arrangement. If there were one band that could bring some truth to the nonsense about “dancing about architecture,” it might be this one. Yet the band often pulls out a raucous cover of the Count Five’s “Psychotic Reaction,” one of the real gut-punches of garage rock, as an encore. “There’s no accounting for taste, as they say,” Verlaine says.